From the first day of our inception, we provide the finest quality of Plywood Box. 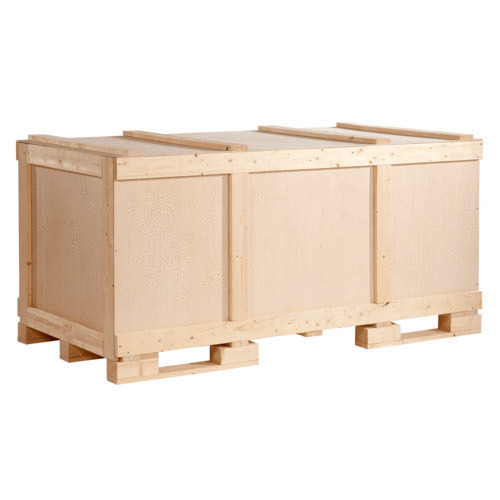 Due to its optimum load carrying capacity, the rendered plywood box is used in various packaging applications. We, Sainath Packaging, came into existence and started our business at Pune, Maharashtra in the year 2008, are counted as one of the leading Manufacturer and Service Provider of a wide range of handpicked quality of Wooden Box, Wooden Pallet, Wooden Saddle, Fumigation Services, Wooden Heat Treatment Services, Vacuum Packaging Service and many more. Best grade wood and latest machinery are used for manufacturing Wooden Pallet, Corrugated Box, Wooden Box and Wooden Saddle in the most streamlined manner. Manufactured by using modern machinery, the wooden pallet, corrugated box, wooden box and wooden saddle are known for their high load carrying capacity, rugged construction and resistance against termite.